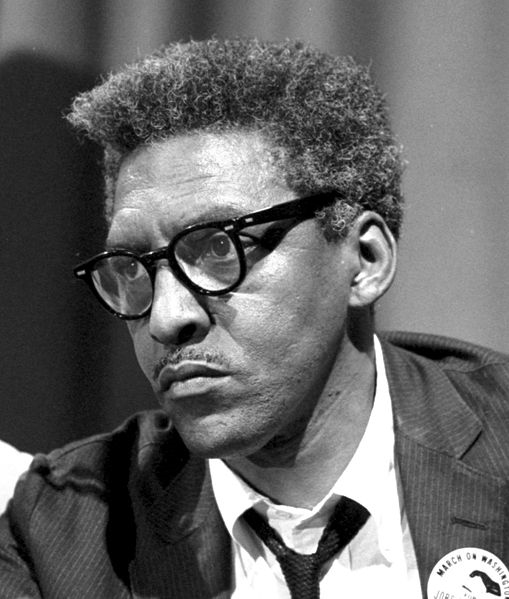 Bayard Rustin is a civil rights icon of the African-American and gay civil rights movements. In 1986, Rustin gave a controversial speech entitled “The New ‘Niggers’ Are Gay,” and that speech is included as an essay in the book Time On Two Crosses: The Collected Writings Of Bayard Rustin. I believe it’s time to revisit Rustin’s concept of defining what the current litmus paper and barometer of social change is in 2014. In 1986, Rustin believed that African-Americans are no longer the litmus paper and barometer of social change. His conclusion was that gays were. How American people treat trans-Americans is the litmus paper by which United States’ democracy will be judged. The barometer for social change is measured by selecting the group which is most mistreated. And, even lesbians, gays, and bisexuals, as members of the LGBT community, apparently are well aware that trans people are the most mistreated of their LGBT community in broad American society. A Pew study released in the fall of 2014 indicates what a broad spectrum of LGBT community members believes about societal acceptance of the LGBT community’s subcommunities. Across the LGBT population, more say bisexual women and lesbians are accepted by society than say this about gay men, bisexual men or transgender people. One-in-four respondents say there is a lot of social acceptance of lesbians, while just 15% say the same about gay men. Similarly, there is more perceived acceptance of bisexual women (33% a lot) than of bisexual men (8%). Transgender adults are viewed as less accepted by society than other LGBT groups: only 3% of survey respondents say there is a lot of acceptance of this group. [Y]ou know that it took the Gay Rights Bill here in New York seventeen years to pass. [It was approved in 1986.] But I’ll go through the beginning. When we were petitioning for the Gay Rights Bill, there was only one person that was arrested. That was me. Because I had the guts to go into the Times Square area on 42nd Street and petition the people to sign that petition. And the only reason I did it was because that bill did include the transgender community. Two or three years into the movement and the bill is being presented and we’re going back and forth to City Hall. They have a little backroom deal without inviting Miss Sylvia and some of the other trans activists to this backroom deal with these politicians. The deal was, “You take them out, we’ll pass the bill.” So, what did nice conservative gay white men do? They sell a community that liberated them down the river, and it still took them seventeen years to get the damn bill passed! And I hate to say it, but I was very happy. Every time that that bill came up for a vote, I said, “I hope it doesn’t pass,” because of what they did to me. As badly as I knew this community needed that bill, I didn’t feel it was justified for them to have it on my sweat and tears, or from my back. To determine where American society is with respect to social change, one doesn’t ask “Do you believed the aged should have Social Security and Medicare?” Nor does one ask “Where do you stand on marriage equality?” The question of social change should be framed in terms of the LGBT community that’s acknowledged most vulnerable group within the LGBT community, and that’s trans people. In this sense, if true that in 1986 that the “The New ‘Niggers’ Are Gay,” then let me say as a trans, queer woman it’s true in 2014 that The New “Faggots” Are Trans. The trans subcommunity of the LGBT community needs to be hard on itself because we stand at the center of progress towards democracy and ordinary equality. We have a terrifying responsibility to the whole of United States’ society. Bayard Rustin listed four responsibilities for the gay community based on their community then that was the barometer of social change that I believe apply to trans people as part of our terrifying responsibility. The first is that we must work with others in other civil rights movements for justice and ordinary equality — we can’t work for ourselves alone. We live and work at the intersections of many, many minority populations and communities. If we don’t work for others as well as ourselves, we’re not working for ordinary equality for anybody, least of all our own community members. The second, we can’t practice prejudice ourselves. If we do, we condone the prejudicial practices against us is as justifiable and others’ prejudicial practices towards us. Those of us who engage in prejudicial behavior towards others don’t know what human rights are. The third is we need to not only clearly see what others are doing to us, but also clearly see what we are really doing to each other. Trans community is too ready and able to eat our own alive. Lastly, joining the struggle for justice and ordinary equality means we have to fight for a new mood in our lands — a radicalization of our society. 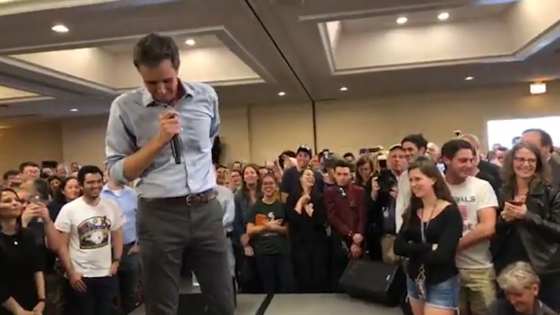 Can you really imagine a society that denies food to children in schools and adults in their homes, denies medical care to all, and doesn’t provide adequate Social Security and Medicare for its elders is going to grant justice and ordinary equality to trans people? Especially given the rampant poverty in trans community at the intersection of people of color and trans community members, a socioeconomic action for all of our society’s poor must be one of our community’s focuses. I do think the new “faggots” are trans. If we trans people accept the burdens that go along with that idea, then that will go a long way in changing how we can, and perhaps should, move forward the civil rights of trans people.